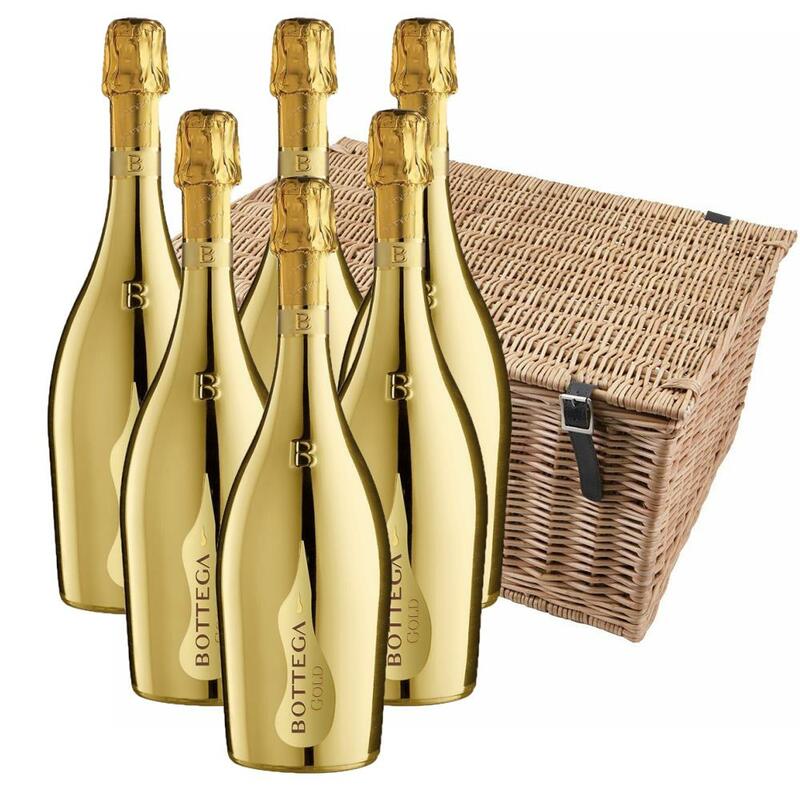 Buy a case of six Bottega Gold Prosecco 75cl, 75cl All packed up in with shred fill in a traditional wicker hamper basket. Handwoven and made from top quality Autumn willow. Our wicker is steamed first to avoid splitting when weaving and then boiled afterwards to darken its colour. Faux leather hinges and straps with cut out handles on either end, finish off the product beautifully Wicker hampers, with their obvious on-going use around the home, are rarely thrown away and in fact are perfect gifts in their own right. No nasty stains or varnish are used in the manufacturing process. Bottega Gold Prosecco has a fruity nose of Golden Apple and Pears along with flowery scents of Acacia and Lily of the Valley and is fresh and aromatic. This product is hand packed onsite by Bottled and Boxed, and is not affiliated with any other brand. Bottled and Boxed is responsible for this product combination/set.